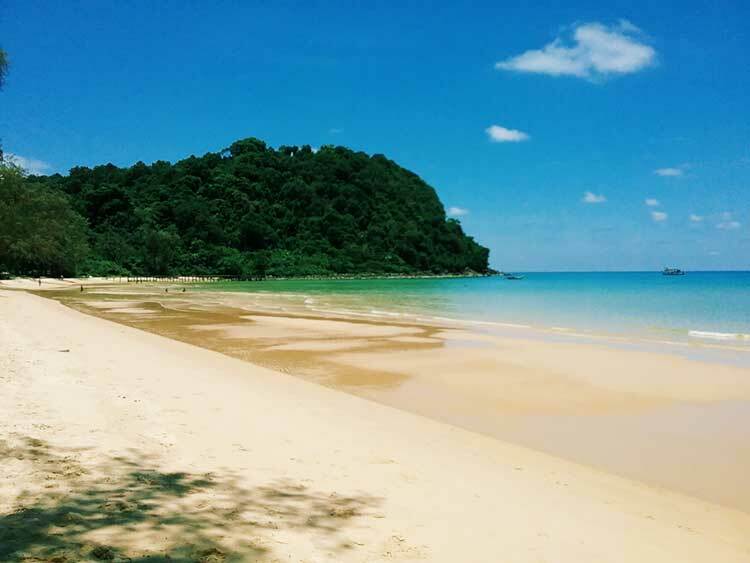 A lot has changed on the Koh Rong islands in the past year, so we thought we’d write ‘the ultimate’ Koh Rong beach guide and review all the beaches on Koh Rong and its sister island Koh Rong Samloem. 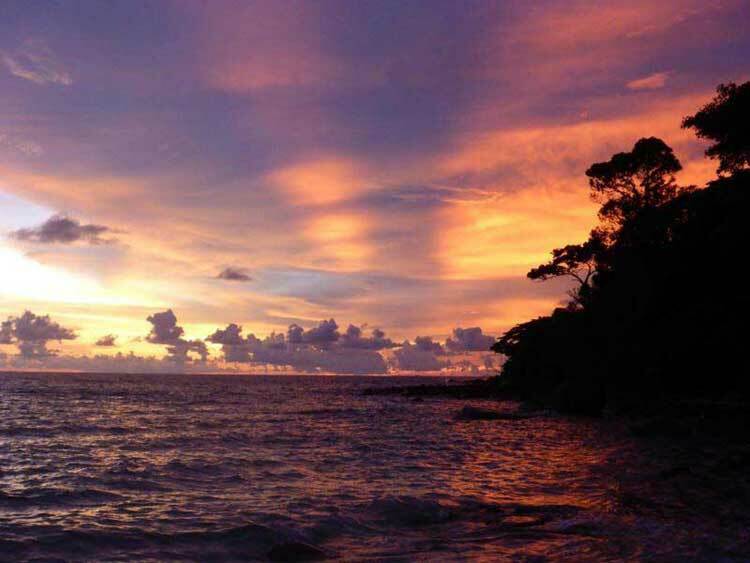 Firstly, please ignore what you might read elsewhere – Koh Rong is NOT just a party island! Yes, the main tourist area, Koh Touch, has a reputation for being quite lively, but there are MANY other areas on Koh Rong (and even on Koh Touch itself!) that are peaceful, relaxing, and truly mesmerising (see video map). If you’re looking for a party atmosphere, then yes, we recommend Koh Touch – This is where all the main ferry services stop on Koh Rong. 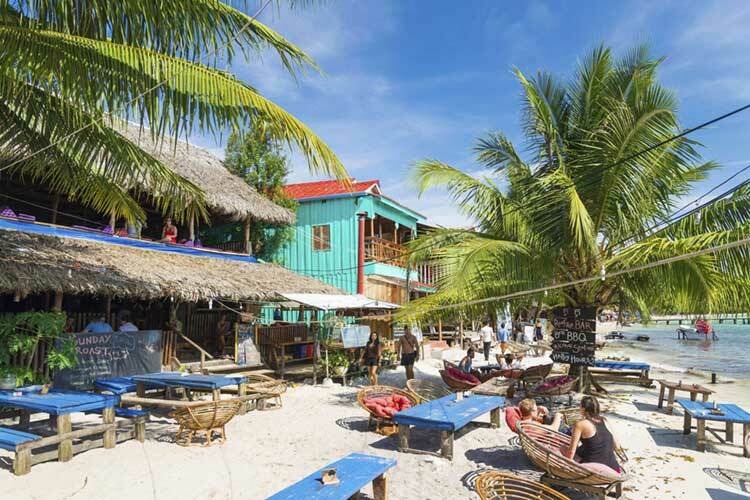 However, if you’re looking to enjoy an island paradise in a more laid-back, family-friendly setting, then there are some excellent choices on both Koh Rong and Koh Rong Samloem. ‘Accessibility’ – How easy is it to get there. 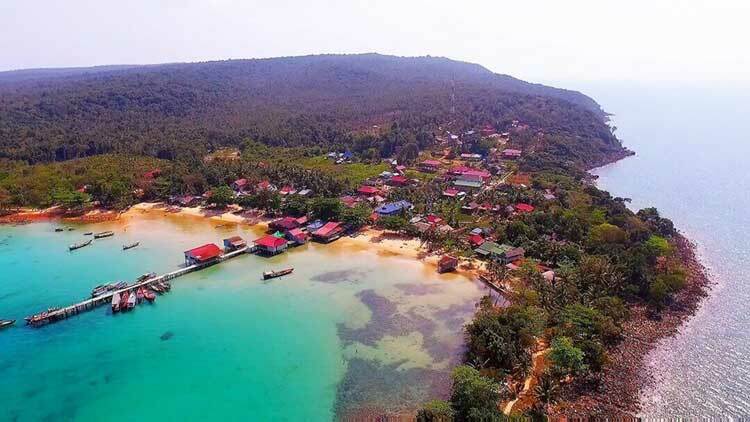 (For the latest news on transportation to Koh Rong, read: How to get to Koh Rong in 2019). ‘Convenience’ – Yes, they are both islands, but some areas have shops, medical facilities, Wi-Fi, etc. ‘Beauty’ – It’s an island paradise! But we’ll try to compare the different areas. ‘Pricing’ – On average, how expensive is accommodation, food, drinks, etc. ‘Downside’ – The main problems with the area. ‘Summary’ – Our attempt to sum up the area in a short phrase. The main tourist area on Koh Touch is known for its cheap alcohol, cheap accommodation ($15+ / night), loud music, and late nights. It is an ideal destination for anyone looking for a ‘party atmosphere‘ on a tropical island paradise. Situated immediately in front of you as you get off the ferry, this part of Koh Touch is packed with guest houses, restaurants, bars, and night clubs. 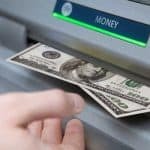 The main drawback is that, as with many popular party destinations, it is hard to keep the area clean and in a good condition. 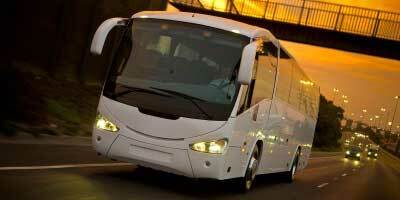 Loud noise can be a problem at night times, and the accommodation is very basic (to say the least!). On the plus side, there are several western shops on this part of Koh Rong, a medical facility, generally good Wi-Fi, a way to get cash out, and lots of activities including: Snorkeling, Scuba Diving, Kayaking, Fishing, Windsurfing, a High Point Zip Line, a Rope Park, a Water Park, Bicycle Rental, Paddle Boarding, Jet Ski Rental, and a Blob Jump. As such, it makes for a fun and convenient location. In particular, we recommend you try White Beach Bungalows or Paradise Bungalows (see also Tree House Bungalows). Noise is not really problem for these resorts. You can sometimes hear faint music in the distance, but it shouldn’t keep you up late at night. The beach area around here is clean and well-kept, and the ocean waters are sparkly and inviting. This is reflected in the price of the resorts in this area ($50+ / night). The upside of these resorts is that they are a short walk to the main tourist area, so you can easily access the shops, restaurants, bars, etc. But this is also the downside, as the beach can get a little busy at peak times. Saracen Bay is the main tourist area on Koh Rong Samloem. It is perfect for a peaceful relaxing experience where you can lie back and admire the magnificent views. All the main ferry services stop here regularly making it one of the more convenient locations. The bay has undergone some major changes in the past two years, with several new resorts, new shops, and new tours opening up along the beachfront. All in all, these changes have made Saracen Bay a more convenient tourist destination, as it is now possible to buy many necessities (e.g. mosquito spray and sun tan lotion) on the bay. The only problem is that the shops may be too far away for people staying near the ends of the bay – Walking on the beach can be very tiring in peak season where the temperatures can reach 40°C. There are roughly 20 resorts spread out along the beach front, each with a restaurant, a bar, and bungalows or villas. Pricing tends to vary, with some resorts (e.g. 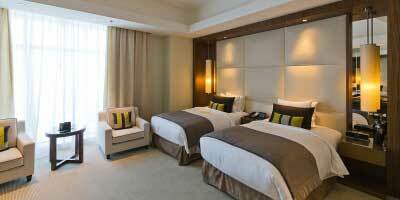 Sol Beach) reaching the premium bracket ($150 / night). Overall, we’d say Saracen Bay is a more expensive place to visit, with prices of accommodation and food often being double what you would pay on Koh Touch. Nightlife is almost non-existent at the Bay – Most restaurants and bars close at 11pm. There are now regular ‘Full Moon’ parties and other events a little into the jungle (at Jungle Republic), but these are quite a bit away from the main resorts. Several resorts now have good Wi-Fi too, so although we strongly discourage you to use it (you’re in paradise! 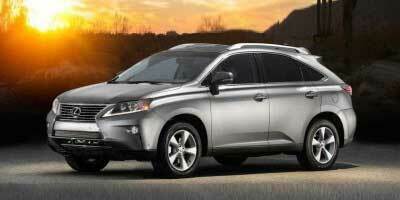 ), the option is there if you so need it. 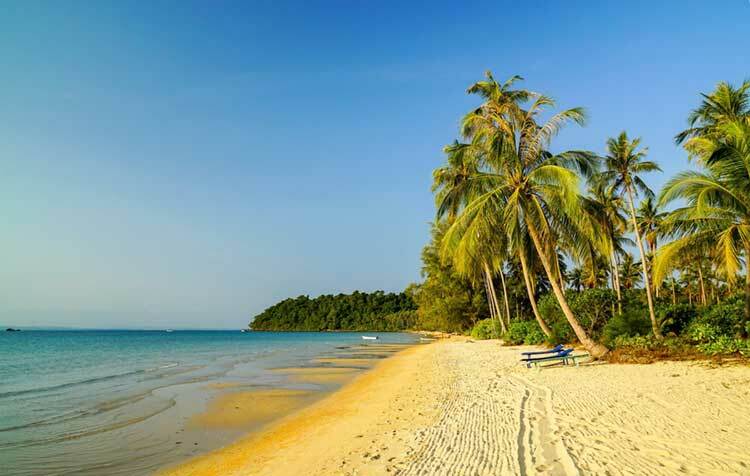 Located on the western side of Koh Rong, Sok San Beach Resort offers a more comfortable accommodation in a remote area of the beautiful Sok San Beach. 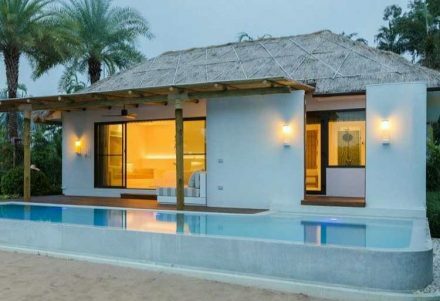 Initially built to host the cast and crew of the popular TV series ‘Survivor’, the self-contained resort comprises of 600+ villas and has several shops, restaurants, and bars. 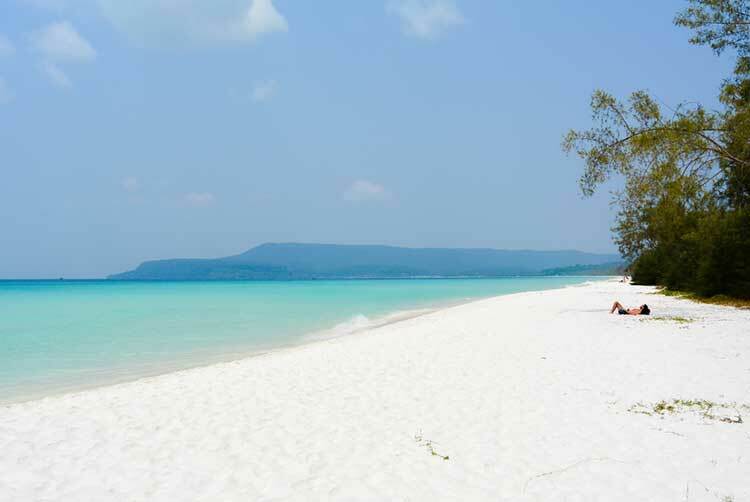 In our opinion, Lonely Beach is the most beautiful beach on Koh Rong. Isolated on the northern side of the island, the small alcove feels like a real desert-island paradise, with crystal clear ocean waters, soft white sandy beaches, tall palm trees all around, and very few people nearby. The atmosphere is serene – so peaceful and quiet with just a few crickets chirping in the background. There is only one resort on this part of Koh Rong, appropriately named ‘Lonely Beach Resort’. The accommodation itself is very rustic and is not really suitable for anyone looking for some comfort during their trip. This is reflected in the price of $40 – $50 / night. It is also not ideal for anyone not willing / able to travel – Though Lonely Beach do offer a boat to that part of the island, it can take 2-3 hours to get there from Sihanoukville and the journey involves small boats that aren’t that steady on the waters. 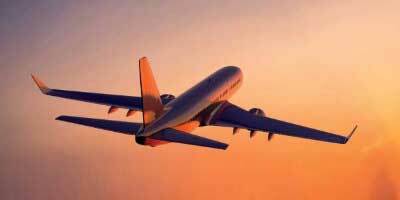 There are also no shops or other facilities around (including no Wi-Fi), so please be prepared to bring everything you need with you. If you’re looking to experience some culture during your stay, then M’Pai Bay on Koh Rong Samloem is a really fantastic option. Not only are you a short walk away from a wonderful white sandy beach, but you’ll get the chance to meet local fishing families and be an active part of their friendly community. Khmer people are very social and love to learn about others. There is really so much to learn about their culture and so much to try – from the delicious local foods, to their unique fishing techniques, to their flamboyant fun-loving lifestyle. The only downside of this type of experience is that it won’t be for everyone. For example, if you’re looking to just relax and unwind by yourself in a more secluded environment, M’Pai Bay won’t be for you. Similarly, if you’re looking for a laid-back beach destination with some comfortable accommodation, consider staying elsewhere. Apart from that there are many other positives. E.g. there are several small shops on this side of Samloem, and several local bars and restaurants. As such, not only is it a pretty convenient place to stay, but it’s also quite cheap (accommodation starts at $15+ / night, meals at $2). The small fishing village has installed Wi-Fi in the area – Please ask someone about it when you are there if you need to use it. With regard to accessibility, there are now 4 ferry companies stopping directly at M’Pai Bay – GTVC, Speed Ferry Cambodia, Island Speed Boat Cambodia, and Buva Sea. They don’t stop as regularly as at other places, but it still makes M’Pai Bay an accessible destination. There are also a couple of ‘Slow Boat’ services from Sihanoukville to M’Pai Bay – These are not professionally run and are not recommended. If you do decide to try them out, please only go on nice clear-sky days when the ocean waters are very still. Similarly, there is an island-hop boat from Koh Touch running 3 times a day – Please consider taking this service only on nice days. Overlooking the famous Song Saa Private Island and around the corner from Lonely Beach, Palm Beach, as the name suggests, is a palm-covered paradise getaway. There is only one resort on this beach, and in our opinion, this is one of the best value for money places to stay on Koh Rong. It is always a shock to see good accommodation starting at just $30 per night on such a beautiful location. 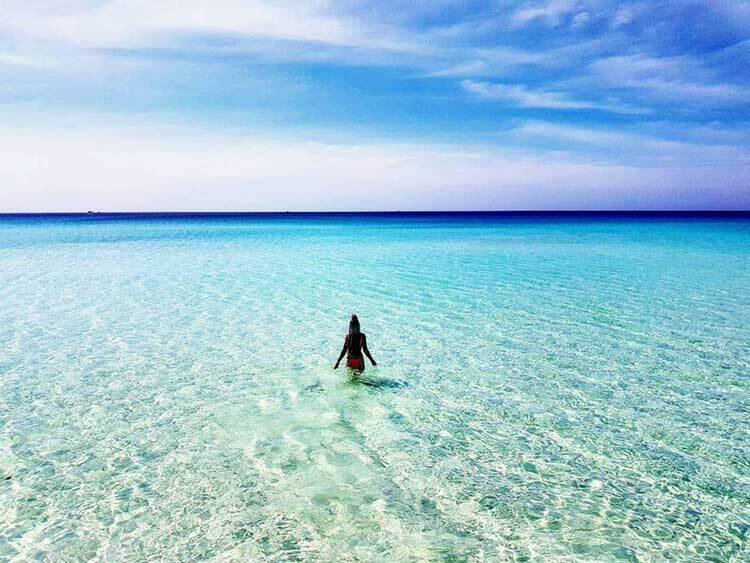 The beach is clean and well-kept, the ocean waters are crystal clear, sparkly, and inviting. 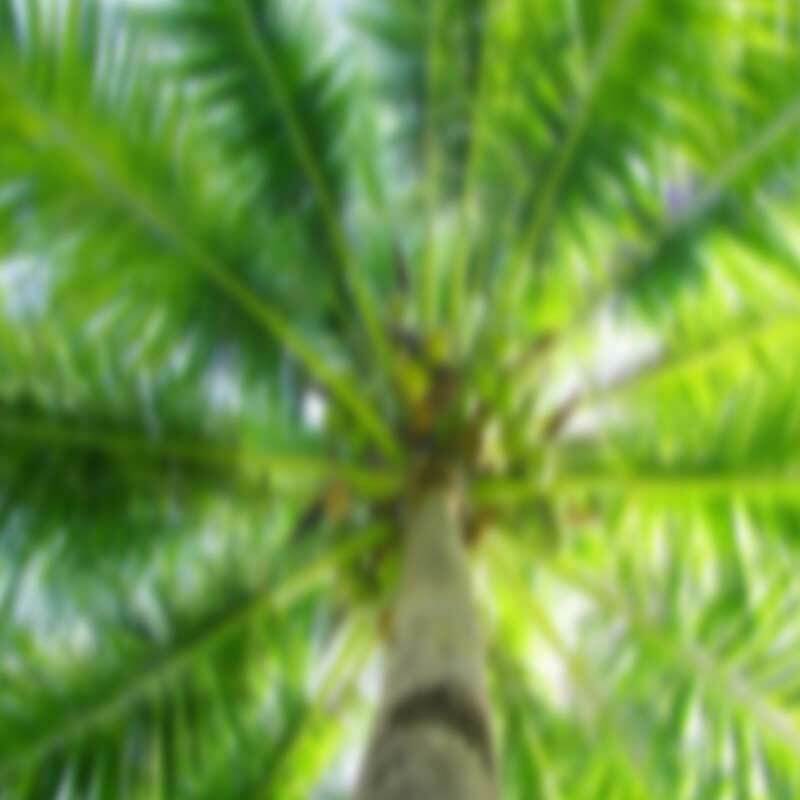 The palm-tree enveloping creates an idyllic scene. Perhaps the issue is that, like with Lonely Beach, the northern side of the island is generally harder to get to, but this has been made easier by Speed Ferry Cambodia, which now stops at Palm Beach 3 times a day. Another great alternative for a ‘culture experience’ is Sok San Village – On the other side of the beach from Sok San Beach Resort. 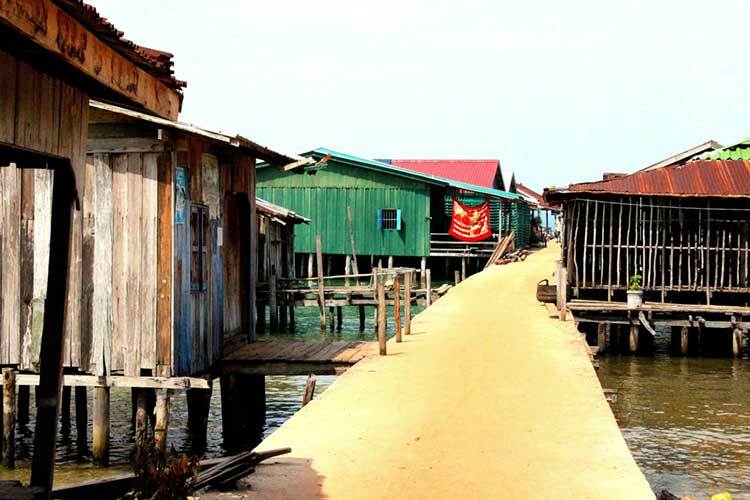 Similarly to M’Pai Bay, here you have the chance to learn about the local Khmer culture, meet the friendly fishing families, and get a taste of how real Cambodians live on a day-to-day basis. The village is full of little guesthouses and bungalows for the visiting tourist. There are several local Khmer shops around, so eating out can be cheap ($2 / meal) and you can buy most necessities if you run out. The beach area around here is beautiful and well-kept with several resorts having bars that stretch out over the ocean waters. There’s even a stunning waterfall just behind the village which makes for great viewing nearer the rainy season. The atmosphere is also ideal – quiet, peaceful, and relaxing. Similarly to M’Pai Bay, the only downside of Sok San Village is that it won’t be for everyone – If you’re looking to lie back and unwind in a more secluded environment, or if you want to stay in some comfortable accommodation, consider visiting a different part of Koh Rong. 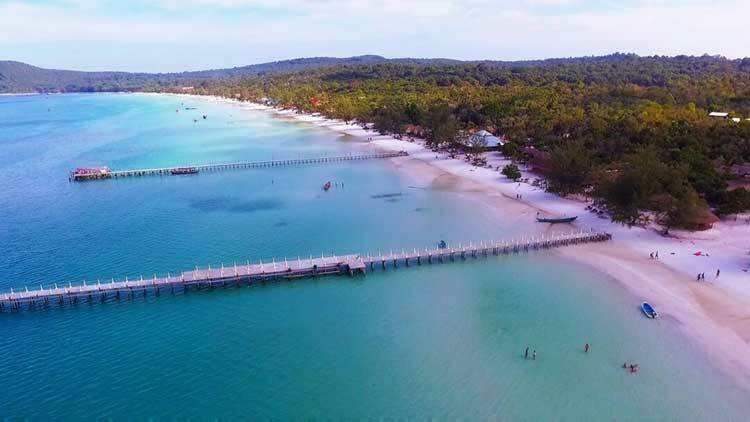 What’s great about Long Set (4K) Beach, apart from the stunning scenery and inviting pristine waters, is that it’s a short walk away from the main tourist area on Koh Rong (Koh Touch). If you head past Paradise Bungalows and White Beach Bungalows on your left hand side, the next resort is Tree House. Keep walking following the beach area around, and you will pass a new resort called Star Fish. At times you will need to go off the actual beach itself into the forest, but the path is very easy to follow. After about 15 minutes you will walk out onto a large beach expanse (about 4km or so – hence the name ‘4K’) with very little development (though new resorts are currently being built). The main drawback of this beach is that there are (currently) only a few options of where to stay. Now, before you say anything, yes there is something to be said about preserving its pristine nature, but without accommodation directly on the beach not everyone can enjoy the mesmerising scenery the way it should be enjoyed. What type of accommodation would be appropriate is a separate issue. 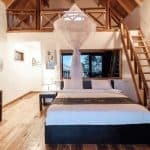 One of the fantastic resorts at the end of the beach is Pura Vita ($65+ / night) – A truly scenic destination with sparkling turquoise ocean waters, white sandy beaches, and a tropical jungle forestry. The other superb resort on Long Beach is the (appropriately named) Long Set Resort. Constructed in late 2016, Longset Resort offers luxury accommodation at an affordable price. The soft white sandy beach is splendid, and some of the views are truly sensational. 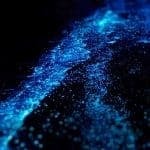 Relax by the pool or swim in the warm ocean during the day, then at night times admire the sparkling bioluminescent plankton. 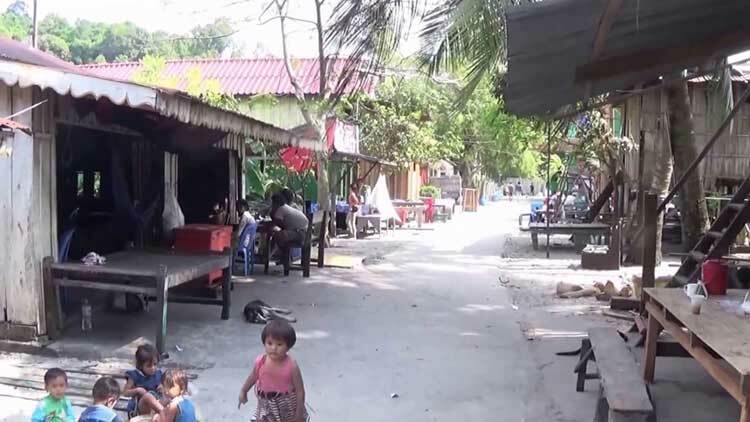 Worthy of mention for a great ‘culture experience’ is Daem Thkov Village on Koh Rong. Daem Thkov is a small fishing village tucked away on the east side of the island. In particular, there is one great guesthouse here which we should mention. Inn the Village offers you a very different kind of experience. As with M’Pai Bay and Sok San, here you will learn about the local Khmer culture, meet the local fishing families, and get a taste of how real Cambodians live on a day-to-day basis. The Inn is 10 minutes away from a beautiful pristine beach where you can enjoy the spectacular views in a quiet relaxed environment. Activities include village tours, snorkelling / scuba diving, swimming with plankton, visiting sunset rock, volley ball, and boat tours. What’s great is that the owners of the Inn are actively involved in helping the locals, so much of the profit made at the Inn goes back into conserving the community. The main downside with Daem Thkov Village is that it’s not that easy to get to. 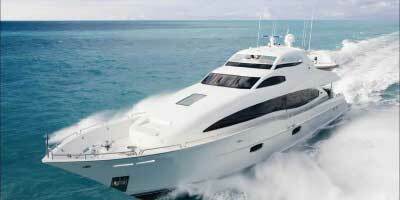 You will need to take a long tail boat from Koh Touch, which on rough days, is not advisable. 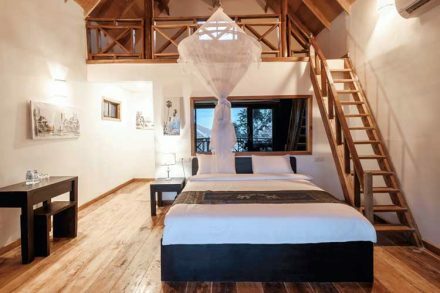 It is also not really suited for anyone looking for some comfort during their stay – The accommodation is very basic (which is reflected in the price of $20+ / night). 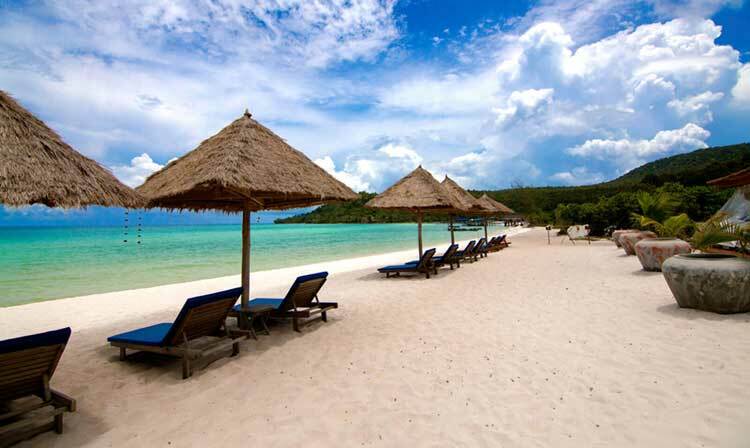 Located on the same side of Koh Rong Samloem as Lazy Beach (i.e. the western side), Sunset Beach is a beautiful destination with clear glistening ocean waters, soft white sands, and truly spectacular sunsets. Perhaps what stands out the most about this side of Samloem is the number of superb diving spots. Indeed, Sunset Beach is one of the more popular destinations for Scuba Divers, offering tonnes of exotic tropical marine life. We recommend you contact The Dive Shop if you’re looking for a fantastic diving experience here. Accommodation on this part of the island isn’t the best, but it makes up for it with the wonderful scenery. The main drawback is that Sunset Beach isn’t always the easiest to get to. A couple of the resorts organise a ferry service direct from Sihanoukville, but again the service tends to depend on weather conditions. There are also no real shops or facilities here (including no Wi-Fi), so please be prepared before you leave. 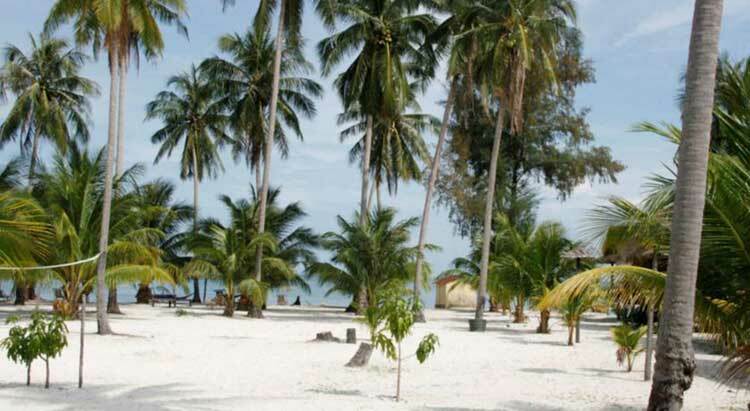 A relatively new development on the western side of Koh Rong is the Koh Rong Resort. 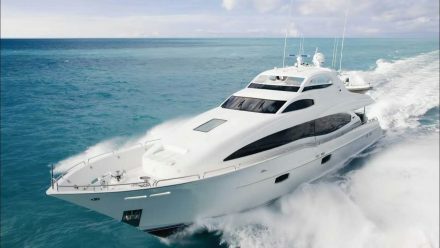 This more private getaway hasn’t been getting the best reviews, but this seems to be in part because of a lack of accurate information about its location – The resort is close to the main tourist area on Koh Touch, but it’s a short boat trip away, making it a little inconvenient. Many people come to the resort expecting it to be on Koh Touch, and are hence disappointed to discover that they have to travel further. 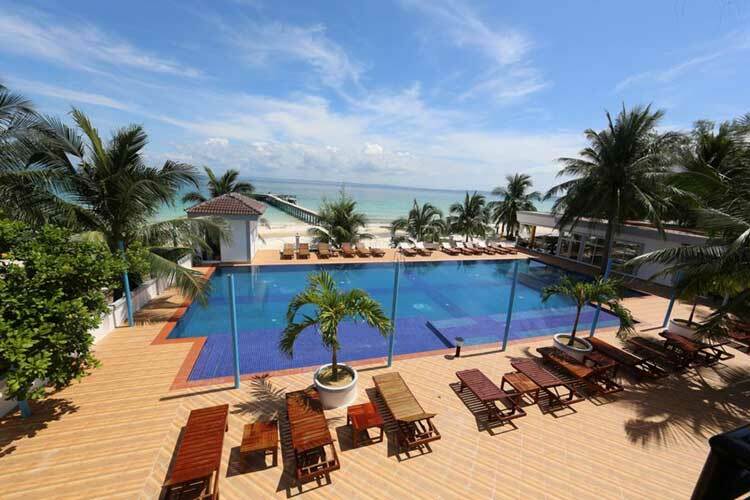 What’s great about this resort is that it doesn’t get too busy, so you can lie back and admire the ocean views by their beautiful swimming pool in peace and quiet (the resort is one of the few to have a swimming pool on the islands, the others include Song Saa, The One, and The Royal Sands Koh Rong). The white sandy beach around here is very well kept, and the accommodation is of a good standard – Clean, comfortable air-conditioned rooms, modern bathrooms, and a restaurant that serves good quality foods. There are no large shops or facilities here, so remember to bring any necessities with you. Found the article just in time. 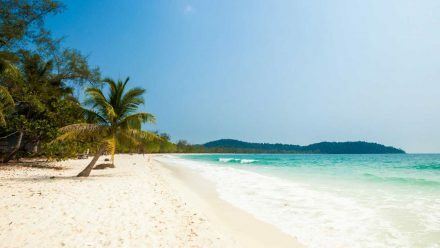 Thanks for the extensive review of Koh Rong. 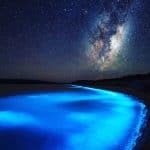 Thank you Visit Koh Rong, what a great article this is! Vi funderar på att åka till Koh Rong över jul och nyår 2018/19. Vi är en familj om fyra personer barnen är 17 och 14 år. Har läst om Koh Rong och Koh Rong Sanloem. Vilken av dem är att föredra och hur länge bör man stanna? Vi tänker kombinera med ytterligare nåt resmål. Wow what an informative article thank you soo much! !